There are still places left in the Free Computer First Steps course. Do you or someone you know want to gain more confidence using IT? Or learn how to access the internet or use Word? Ask at Reception of Stone Hall or give them a ring. The course runs Monday 12.30 to 2.30pm and 6.30pm to 8.30pm and Wednesday 3.30pm to 5.30pm (Unfortunately there is no disabled access to this course). Acocks Green’s Adult Education Centre has a wide array of courses to make the most of this September. 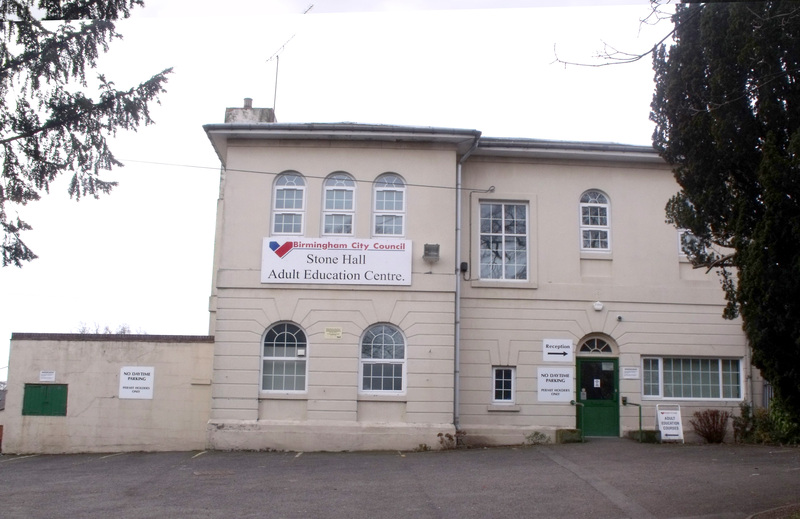 Whether you want to learn something for fun, get more out of life, or gain an important qualification to help your job prospects, you may well find a suitable course in Acocks Green, or at one of the many other Adult Education Centres across the city. There are day time and evening courses, from improving your English and Maths, learning how to use a computer, singing, clothes making, British Sign Language, computerised accounts and LOTS more. Some courses are free of charge, or if you are in receipt of certain benefits you might not have to pay. The full programme of classes is here. You can enrol for most courses on line, on the phone: 0121 303 4318, or at the centres in person from Monday 1st September to Saturday 13th September. The usual advice is that if possible, turn up at the time of the class you are interested in. At these times you can usually get to meet the tutor. From September you can also phone Stone Hall Centre directly on: 0121 464 9150 Or you can call into Acocks Green Library to pick up the full programmed of Adult Education Courses across the city. Learning something new cchange your life (in a good way)! This entry was posted in adult courses, Events and tagged accounts, Acocks Green, adult education, Arabic, British Sign Language, cake decorating, clothes making, computers, courses, creative writing, English, English GCSE, ESOL, First Steps, free, Interior Design, IT course, Keep Fit, maths, Maths GCSE, singing, Stone Hall. Bookmark the permalink.